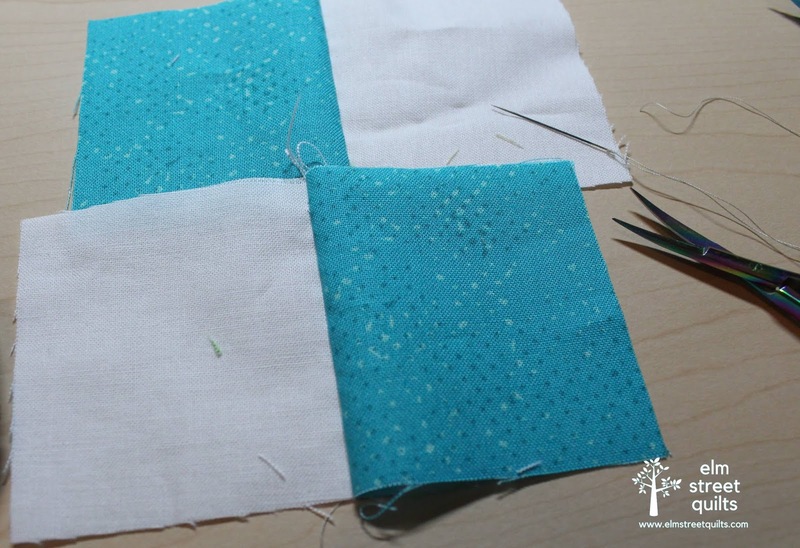 Have you been practicing marking seams (tutorial) and doing the running stitch (tutorial) and now wondering what to do with your pile of 2-patch units? Let's join them together into blocks and learn how to deal with the seam allowances. You will nest your seams exactly as you would if machine piecing. 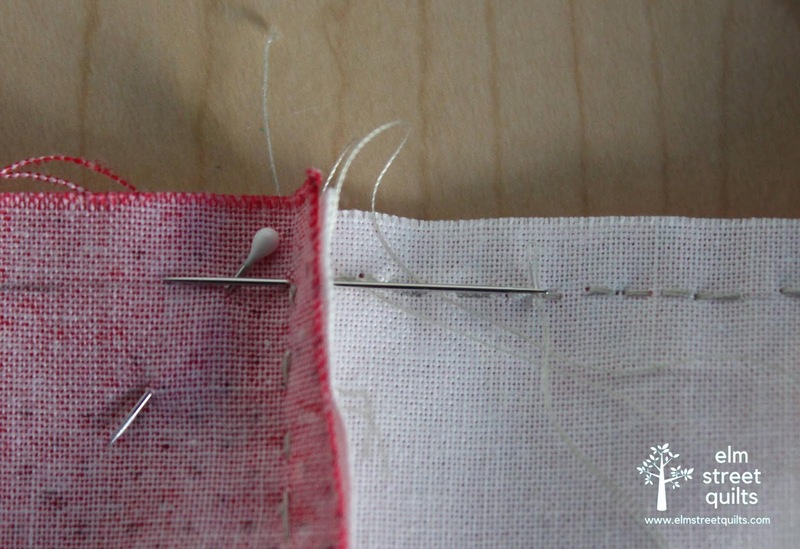 But with hand piecing, you will sew through your seam allowances - not over them! Sew right up to the seam allowance, do a backstitch and then push your needle through the seam allowance of the block on top. Then, do another backstitch. That's all there is to it! Your seam allowances will be free (and happy). Kristin has put together an awesome video that explains everything - check it out! Any questions? Leave me a comment - I'll be happy to help! exactly how I've done hand piecing for years! Oh wow, without this tip I would have sewn them down for sure! I have not been practicing, but hopefully after Christmas! That tip is the one thing I remember about taking a hand quilting class in 1982 - lol! Will these tutorials be part of your program when it starts in January? I would like my two granddaughters to learn to hand piece, and I told them we would start after the first of the year. Do I need to save these tutorials for them too. Thank you! How fun to have your granddaughers learn to hand piece! We will continue to refer to these base tutorials in our posts next year. We shared them this year so those new to hand piecing had time to practice! Interesting. I would have sewn through the seam allowances. Guess I better get practicing before January. I prefer this method of piecing vs english paper piecing.